The Show After The Show — MacKay & Company, Inc. I attended the AAPEX Expo in late October in Las Vegas. I have attended this show for a number of years and it has grown to be an impressive event with a large number of exhibitors and there is always something new to see. This trip is even better if you have some time and can attend SEMA as well, which I unfortunately did not have an opportunity to do this year. After attending the show for a couple of years, I’ve learned the lay of the land. On the main floor are the companies with the brands and products you know and recognize and in the basement (I am sure the show promoters don’t use that term) are all the foreign companies either marketing products they manufacture or, more likely, promoting their ability and willingness to manufacture or reverse engineer and manufacture any product you bring them. More than once I have run into someone I know from a North Ameri-can component manufacturer who is in the basement because he suspects or has found a company infringing on his company’s branding or products. I don’t believe this happens as often recently because I believe show management has dedicated resources to try and prevent this from occurring. This year, after a day of walking the show and attending some after-show events, I headed back to my hotel. Since I procrastinated in making my plans to attend the show, I was a bit away from the main grouping of hotels on the strip. When I checked in, I saw a sign that indicated a reception for attendees of AAPEX or SEMA. The promotional piece stated something about new products, so I thought why not? Maybe I will meet a potential customer or learn something new or, at a minimum, get a free drink. After following signs and directions to what seemed to be the farthest banquet room from the hotel’s front desk, I found what could have been mistaken as a near-empty cocktail party attended by folks that may have been affiliated with the automotive/truck industry or maybe just pulled off the strip. There was a limited number of products on display, but they didn’t have a lot to do with cars or trucks. Apparently, the displayed products were to show capabilities that are available from companies in China. Luckily, I arrived near the end of the reception, just in time to hear the confusing pitch from the reception sponsors (I can’t even remember their name). They started by saying they were the next Amazon (I’m not sure why they stated that); it made no sense. Since I was the only one with a coat and tie on, I think they thought I was a potential big resource for them. After some confusing conversation — it appeared the primary sponsor for this reception was in the business of matching the right companies in China to companies in the U.S. that are interested in having a product manufactured. I was told they could manufacture anything I wanted; they only needed an image of the part. They assured me there was basically nothing they could not reproduce with their connections. 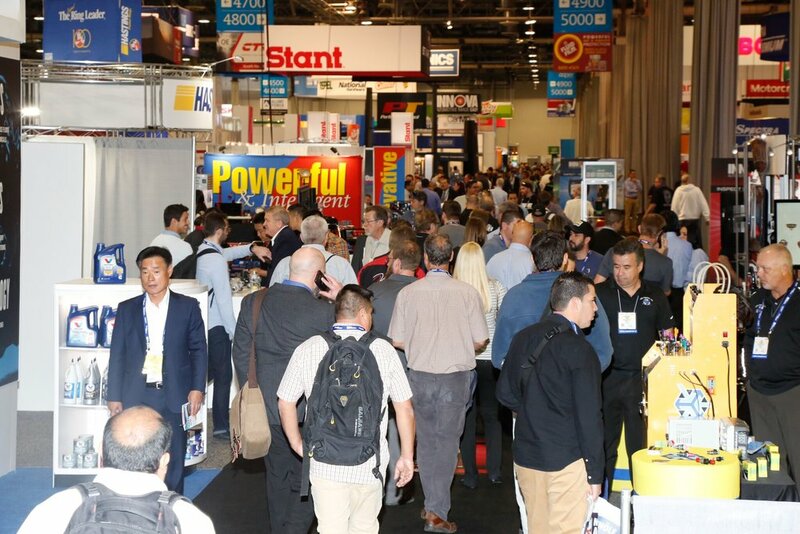 Apparently, I had figuratively stumbled into the floor below the basement of AAPEX at the Sands Expo, which was a little eye-opening to the realities of this side of the aftermarket. I got no sense at all that they knew much about manufacturing — let alone manufacturing parts for cars or trucks, but that really didn’t seem to matter to them. I couldn’t convince them I wasn’t looking for anything to be manufactured in China and I wanted to leave (they had closed the bar), so I gave them my pocket knife and requested a prototype.